Established for over 12 years with over 19 years of experience, Nick Baker Plumbing and Heating are a family run business in Ely, Cambridgeshire. We are honest, efficient and reliable and we pride ourselves on word of mouth and repeat business. All aspects of Plumbing & Heating work are undertaken and out of hours servicing by prior arrangement is available. 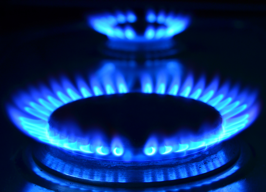 Most domestic gas work undertaken. Call today for more information. Within a 30 mile radius of Ely including Barway, Burwell, Cambridge, Chatteris, Chippenham, Cottenham, Coveney, Doddington, Downham Market, Exning, Fordham, Freckenham, Huntingdon, Haddenham, Isleham, Littleport, Little Downham, Little THetford, March, Menea, Mepal, Newmarket, Prickwillow, Pymoor, Queen Adelaide, St Neots, Soham, Stretham, Stuntney, Sutton, Welney, Whittlesey, Wicken, Wilburton, Wimblington, Witcham.